Over the last week my friend Mel (of Deela Designs) was staying with us. 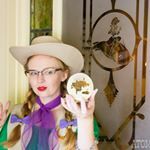 Mel is a fellow cosplay friend, with a passion for all things nerdy, and during her stay we had many fun adventures, including a visit to Paramount Ranch. Like me, Mel enjoys HBO’s Westworld, and after she heard about my visit to Paramount Ranch, she wanted to see it for herself. As luck with have it, her visit coincided with a unique tour of Paramount Ranch called “Set to Screen” which gave us the rare opportunity to actually step inside some of the buildings. The tour is lead by a volunteer ranger of the National Parks, as Paramount Ranch is indeed a National Park, and takes visitors on an hour long tour of the buildings, and includes showing photographs from the various TV shows and movies that have filmed there. Unlike many backlots, which uses facades for exterior shots, and sound stages for interior shots, most of Paramount Ranch’s buildings are practical, so they can be filmed from both the outside and the inside. But Paramount Ranch isn’t without its very own sound stage as well! Which I had no idea existed, as it is inside an old barn. The sound stage was home to some of the interior sets for Dr. Quinn Medicine Woman when it shot at Paramount Ranch during its run from 1993 to 1998. During the show, it developed a westward expansion of the railroad plot, and was in need of a train station, which it built, and left. However, the church that sits in the field is not the one from Dr. Quinn, but, like the train station from Dr. Quinn, was built for Westworld, but left at the request of the park. Apparently HBO was a little reluctant to leave it, so they altered it by removing the steeple, taking off the shutters, and repainting it, so it didn’t look as iconic at first glance. I also learned more about how movies and TV shows work with already established buildings to change them to look totally different. For example, the large orange building was given a brick facade when this area was used in another HBO series, Carnivale, but was of course removed so the building could return to its western esthetic. I highly recommend taking this tour, which is free, you just have to stay tuned to the events page for the Santa Monica Mountains. The tour is an hour, and only involves walking around the western town portion of the park, which is small, with no steep inclines. If you take the tour, please remember to be respectful of the buildings as they are almost 100 years old, and just barely standing, and let’s face it, they aren’t going to get too much funding from the government who is basically having a mini war with the National Parks, but you can do your part by donating if you visit Paramount Ranch, as they have a small donation box near the entrance. You can check our previous visits to Paramount Ranch here and here. Paramount Ranch is located in Agoura Hills, about 30 miles west of the heart of Hollywood. Typing in Paramount Ranch into Google will give you perfect directions. UPDATE: On Friday, November 9th, 2018, Paramount Ranch fell victim to the Woolsey Fire that tore through the Malibu, Thousand Oaks and Agora Hills areas. Paramount Ranch was reduced to cinders with only the church built for HBO’s Westworld remaining. Coolness! I need to take my dad here. He’d love it! Wow, this looks really interesting! I must give Westworld a chance when I get the opportunity.